I have to admit to being a little sceptical about these Mini Cheddars. They seem to have a very specific flavour, one that perhaps sounded to difficult to recreate in the form of a seasoned mini biscuit. 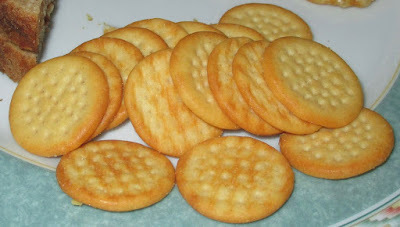 Don't get me wrong, I recently wrote about the new Mini Cheddars Stilton version and was very impressed. However Stilton is a very distinct flavour, it is strong and blue and worked really well. 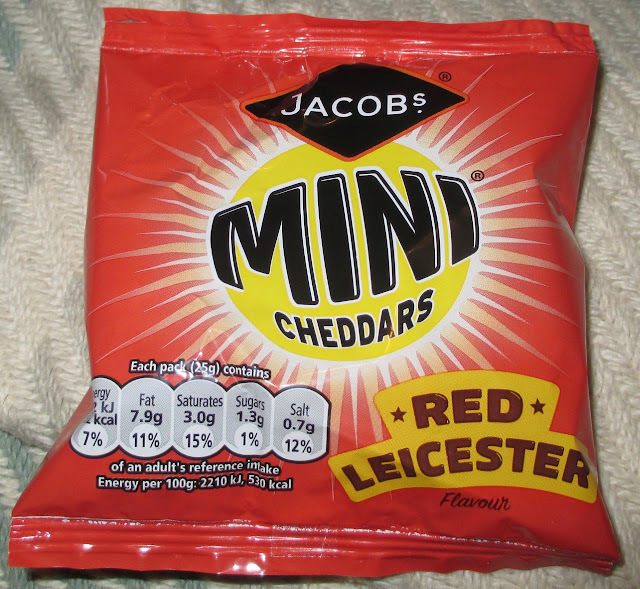 Red Leicester on the other hand is a fairly mild cheese not that different to Cheddar itself. I opened up the bag, which was a bright shade of red, to give this new edition a try. The looked like Mini Cheddars and the smelt like regular Mini Cheddars. I poured them onto the plate to have with my sandwiches for lunch. Now I have to admit I was yet again impressed. Somehow they have managed to pack the characteristics of Red Leicester cheese into these biscuits. The flavour was richer but still smooth and had a certain nuttiness that did make me think of the cheese they were trying to portray. They were very tasty too and I loved munching on them with my lunch. The last remaining new flavour is Smoked Applewood, and given how well I’ve got on with these new ones so far, I can't wait to get my hands on them.